We are one of the prominent manufacturers and suppliers of a wide range of Pharma Machineries. The Pharma Machineries offered by us are manufactured using superior quality raw material, which is sourced from the reliable vendors of the market. 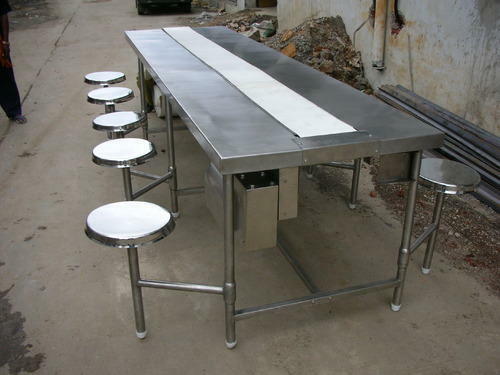 We are leading manufacturer and exporter of stainless steel packing conveyor and our product is made up of good quality. • belt: food grade "pvfc" coated endless belt. 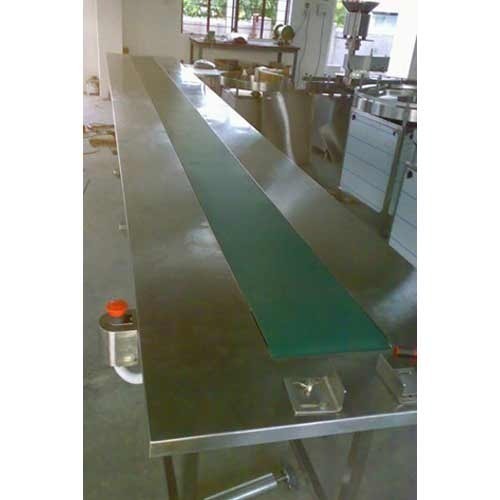 • packing conveyor top will be made out of the ss 304 material quality to give the smooth finish. the total length will be vary as per the clients requirements. • in this assembly only the one motor & gear box will be provided with the unit to give the precise alignment. • conveyor s are design with the self-aligning bearings, which ensure smooth and trouble free rotation of the rollers and the mechanism. • the entire mechanism runs on the reduction stands isi make gear box and the isi make motor which are mounted on the heavy fabricated structure. the gearbox and the motor are aligned precisely to give the jerk less and noiseless performance for a long period of time. • its totally as per approved by cgmp norms. • all the joints has been welded with organ welding with smooth finished so it is easy to handle. on the down part of the legs it has given adjustable nylon bush, so for handling purpose it is more suitable and comfortable for shifting one place to another. all work done under the supervision of our technical team and experienced engineers. 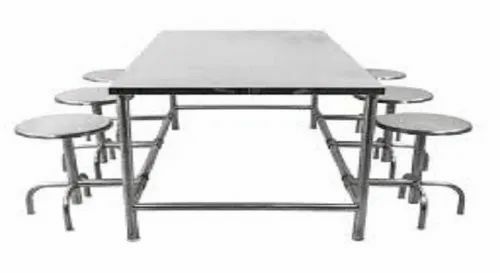 this ss 304 canteen table by our latest techniques of machinery, the cutting and bending work has been done by our cnc cutting and bending machine so the quality of the material is as per quality norms and technically proven. 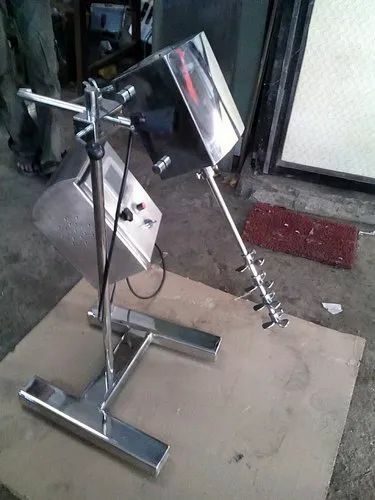 We are leading manufacturer and exporter of Stainless Steel Laboratory Stirrer and our product is made up of good quality. 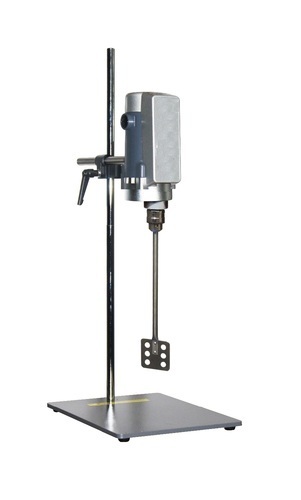 Stainless Steel Laboratory Stirrer is made out of the SS 304 non contact part and SS 316 contact part material quality to give the smooth finish. The total capacity vary as per the clients requirements. In this assembly, only one motor top side and VFD is provided to adjust the speed if required. Control panel with sturdy stand will be provided. All the joints have been welded with organ welding with smooth finished so it is easy to handle. We are leading manufacturer and exporter of Stainless Steel Powder Sampler and our product is made up of good quality. It is made with very sophisticated design as per technically proven by the industrial norms. The different types of slotting provided in this sampler makes it easy to take the sample in different slots in one time. 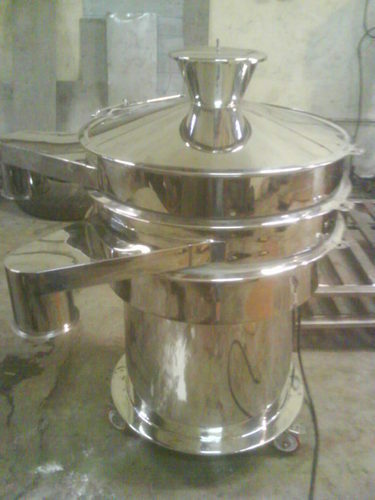 We offer good quality Stainless Steel Tank with Stirrer for different manufacturing industries. Owing to our rich industrial experience we are engaged in delivering Stirrer Tanks to our clients as and when required by them. he offered range of tanks is manufactured using premium quality stainless steel, for ensuring premium quality and toughness of the same. We are leading manufacturer and exporter of Stainless Steel Vibro Sifter and our product is made up of good quality. • SS 304 and SS 316 * 18/16/10 Swg. 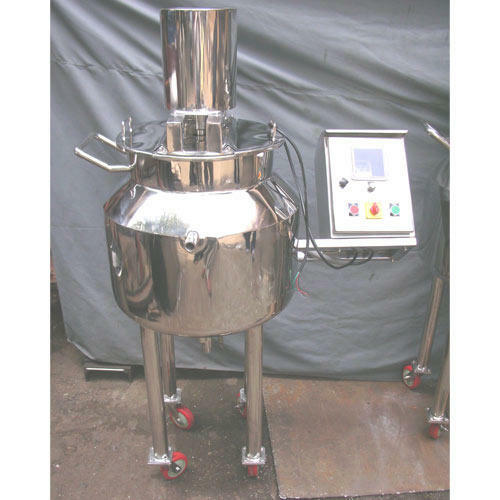 • This is one of the popular SS 304 Vibro Sifter.It is mainly used in Pharmaceutical Industry. • It is made with sophisticated design and his matt finish it look very attractive. All the joints has been welded with Organ welding with smooth finished so it is easy to handle. • On the down part of the Legs it has given Lockable PU Wheels to carry the Vibro Sifter safely from one place to another. • SS 304 * 16 Swg. • This Pass Box made in SS 304 Matt finish. Inside Mechanical interlocking, View panel, Internal covings, UV Light. 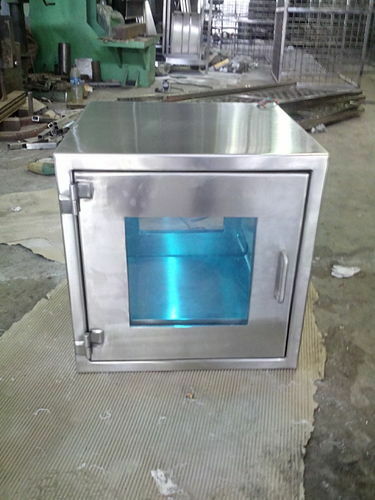 • This is one of the Popular SS static type Pass Box mainly used in Pharmaceutical Industry to Passing the material from One Department to Other Department. Description: Packing Conveyor top will be made out of the SS 304 material quality to give the smooth finish. The total length of the machine will be 8 Feet. Conveyor will be assembled in the single piece construction design. In this assembly only one motor & gearbox will be provided with the unit to give the precise alignment. Conveyors are design with the self-aligning bearings, which ensures smooth and trouble free rotation of the rollers and the mechanism. The entire mechanism runs on the reduction standard ISI make Gearbox and the ISI make Motor, which are mounted on the heavy fabricated structure. The gearbox and the motor are aligned precisely to give the jerk less and noiseless performance for a long time. • Size : 8 feet Long. • Belt Details : 9” food grade “PVC” coated endless belt. • Conveyor MOC & Swg. : SS 304 * 16 – 14 - 10 Swg. • Finish : Matt Finish. 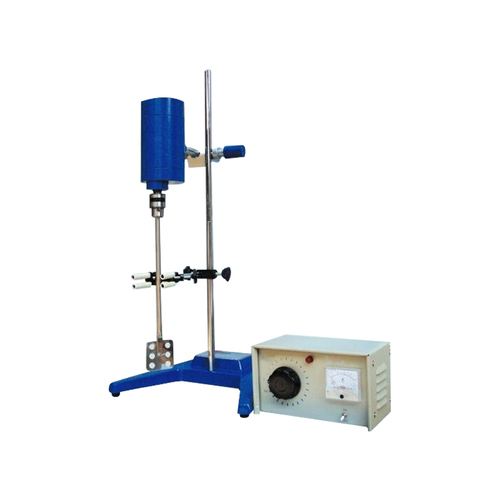 • SS stirrer will be made out of the ss 304 non contact part & SS 316 contact part material quality to give the smooth finish. The total capacity will be vary as per the clients requirements. • In this assembly only the one motor top side & vfd will be provided to adjust the speed if required . Control panel with sturdy stand will be provided. • All work done under the supervision of our technical team and experienced engineers. Our qc departments has been done all the testing under our company supervision so the quality of the material is 100% certified by our r & d lab. 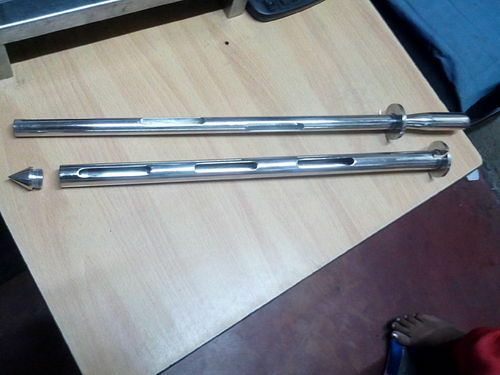 This ss stirrer by our latest techniques of machinery, the cutting and bending work has been done by our cnc cutting and bending machine so the quality of the material is as per quality norms and technically proven.